It’s not easy for a film to be charming, poignant and funny all at once; but that’s exactly what this film is. It is the story of a man so infuriated by the hand that life has dealt him that he can longer see beyond his own anger at; well, everything. On his way to the doctor’s office one day Henry Altman, played by Robin Williams, has a minor car accident with a cab. This is seemingly the last straw for him. His older son died 2 years ago, leaving him and his wife, played by Melissa Leo, in a loveless marriage filled with blame and dissatisfaction. And when he gets to the doctor’s office, where he will be getting the results of a brain scan, things don’t get much better. With her life spinning out of control, the doctor he sees is forced to give the bad news of a fatal brain aneurysm to Mr. Altman. He literally forces her to do it by screaming at her and taking out all of his life’s inequities out on her. She cracks and tells him he has 90 minutes to live. Infuriated he leaves the office in search of what he should be doing with only 90 minutes left to live. During the next 60 minutes or so of this movie he chases a dram of piecing his family back together, wondering how it ever went so wrong. Meantime, everyone is chasing him as he darts about Brooklyn looking for his younger estranged son. Even the doctor; who may be in serious trouble for the way she handled the encounter with Mr. Altman, is searching for him. She desperately wants to get him to a hospital. This movie is a pleasure to watch. 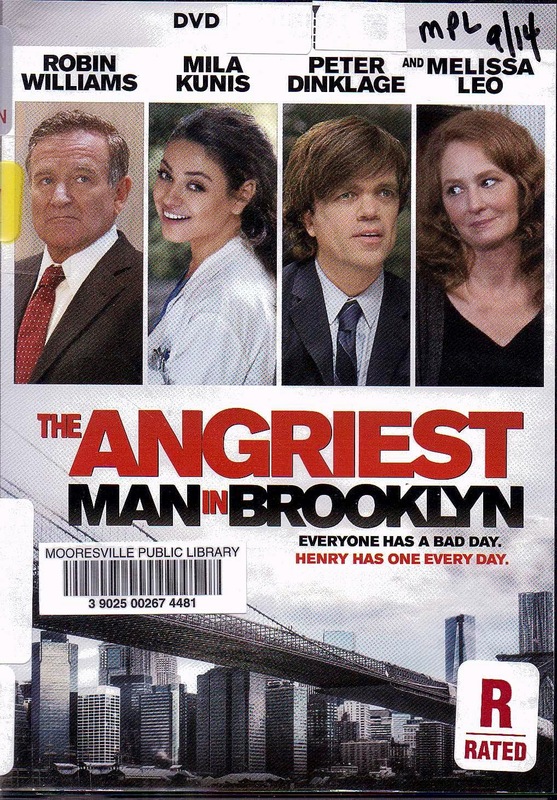 It has 2 of my favorite actresses in it; Mila Kunis, who bears watching as her talents grow from film to film; and Melissa Leo, who I have been following since she did theater at Fell’s Point in Baltimore before landing some of her early TV roles. In this film she takes on a whole new persona as the beleaguered wife of a very angry and self-destructive man. That she is able to blend the comedy with the tragedy of the role so well speaks to her abilities as a true actress. Peter Dinklage, as his loving younger brother, is remarkable; as he is in any film. It's also interesting to note that al the stars in this film first honed their craft working TV sitcoms. As for Robin Williams; what can you say about a guy whose lines in this film include, “”1951—2014; that’s what it will say on the headstone. It’s not the numbers that count- it’s the dash in between.” I wonder what thoughts went through his mind; easily as troubled as his character Mr. Altman’s. I know that I am glad he got to make this film. To see him as a fully matured actor rather than an extension of his stand-up routines, as in “Good Morning Vietnam”, is one of the best tributes an actor could ever hope for. Excellent direction and a lively story and screenplay make this one hell of an enjoyable experience. And it all happens in Brooklyn; my home town.